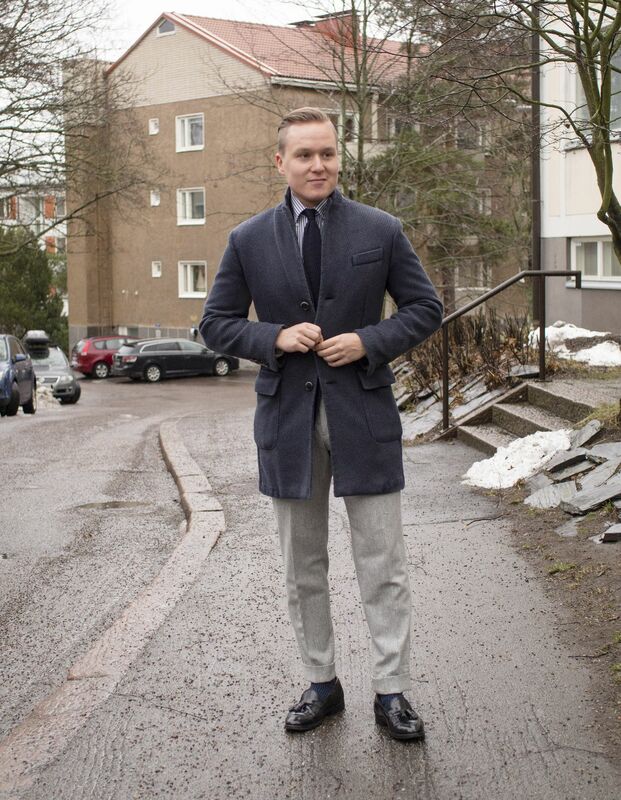 Winter shoes is an endless discussion topic, especially among us living in the Nordic countries. I'm personally not really a boot person and rarely wear them, but for some winter pretty much equals boots only and that's that. What about loafers then? Often seen as the ultimate summer shoe (which they are) and only that, people north of Italy consider them completely useless when temperatures drop below +20 Celsius. 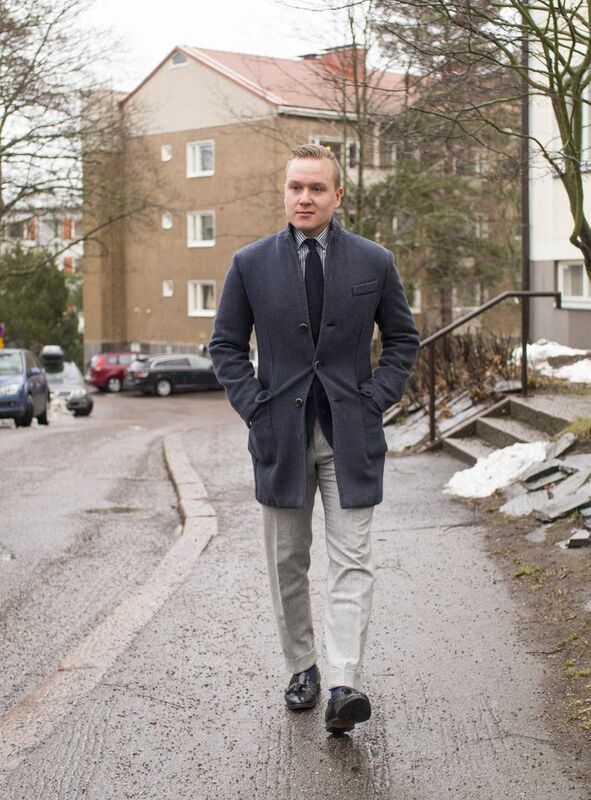 However, they're not really any worse than a pair of Oxfords as long as there's no snow or slush. Instead, they can be used to bring that amazing touch of casual flair into many fall or winter outfits. 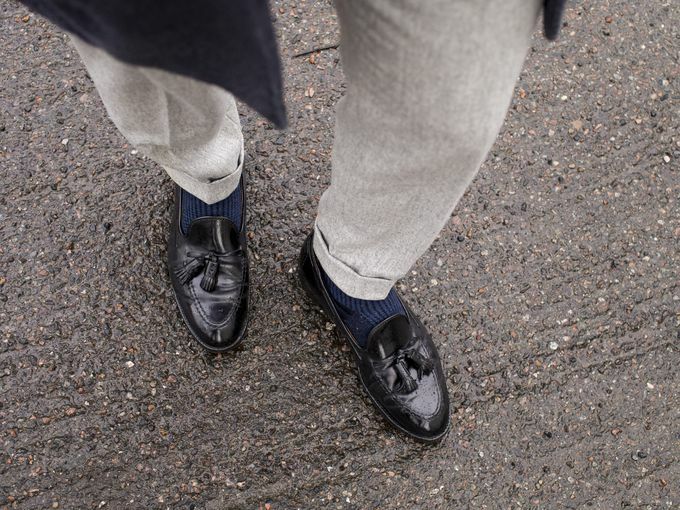 A pair of well-polished calf or Cordovan loafers can actually look quite amazing when used properly. Once again then, it's about the overall look, how different parts of your outfit go together and how comfortable you are with your choice. The worn items include a LBM 1911 coat, Luigi Bianchi Mantova wool jacket, SuitSupply shirt, Shibumi Berlin zigzag knit tie, Berg & Berg pocket square, Albert Thurston braces, SuitSupply wool flannel trousers, Berg & Berg wool socks and Alden black Cordovan tassel loafers. Normally an outfit like this wouldn't really work with black shoes as they would be simply too formal, but when the shoes are a pair of loafers everything suddenly looks alright. On top of that, a blue-grey-black color palette is always a guaranteed win. 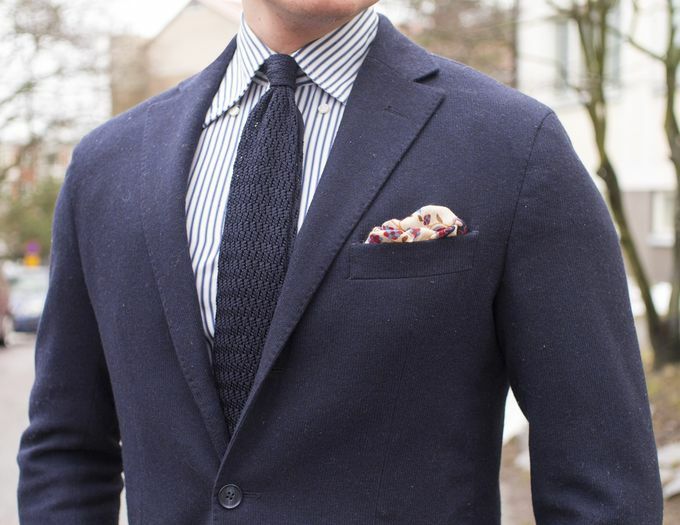 One thing I really like about this is the wide zig zag knit tie combined with the long and wide collar points. 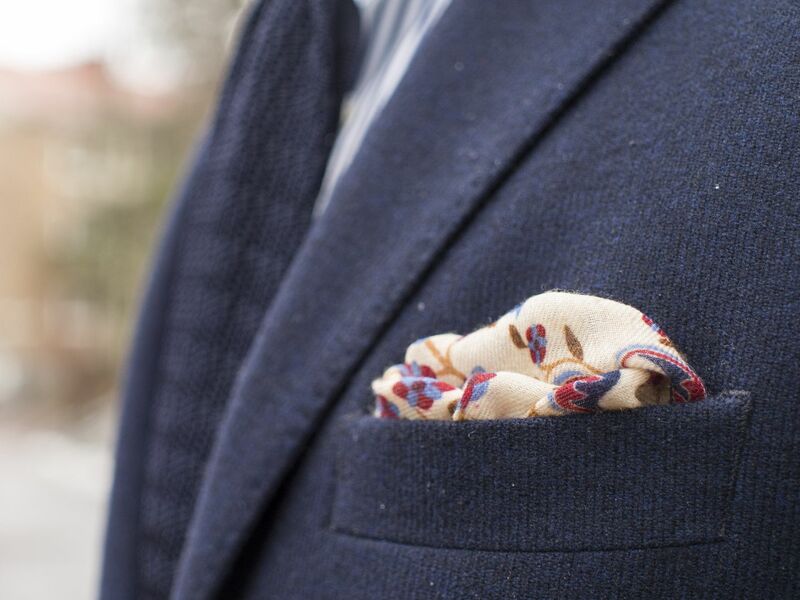 A touch of color from Berg & Berg's wool pocket square. Alden's Aberdeen last is one of the great loafer lasts. It looks elegant and modern yet traditional.